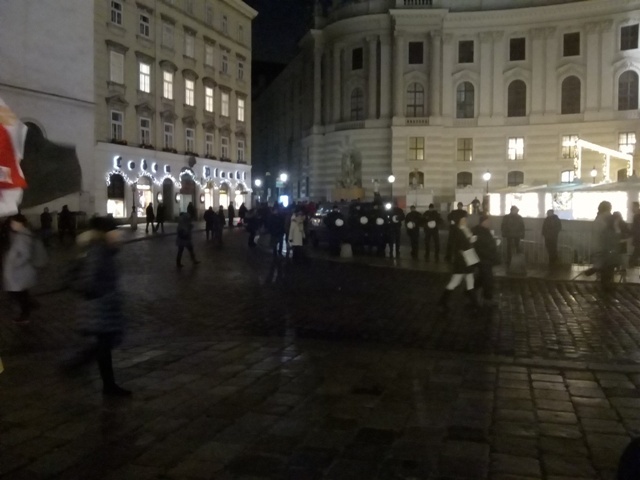 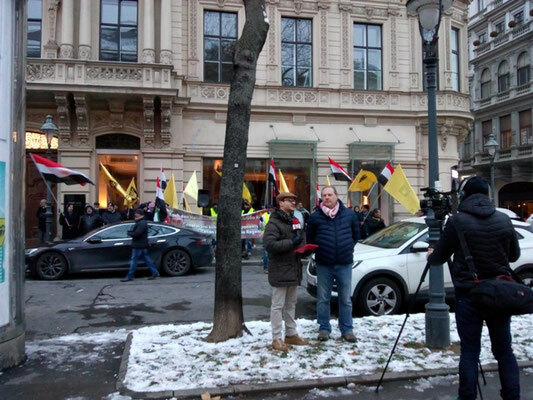 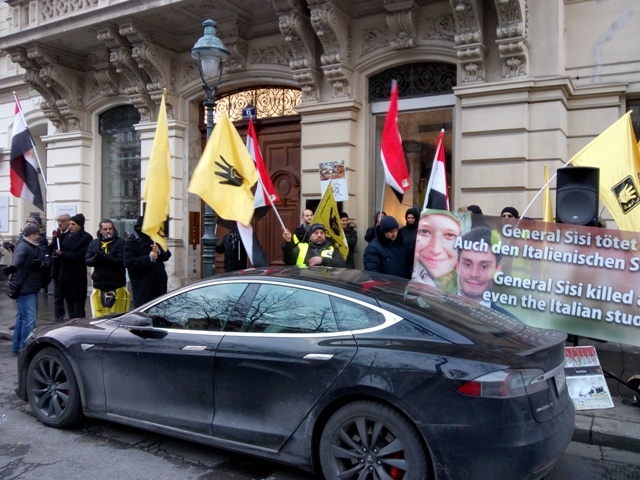 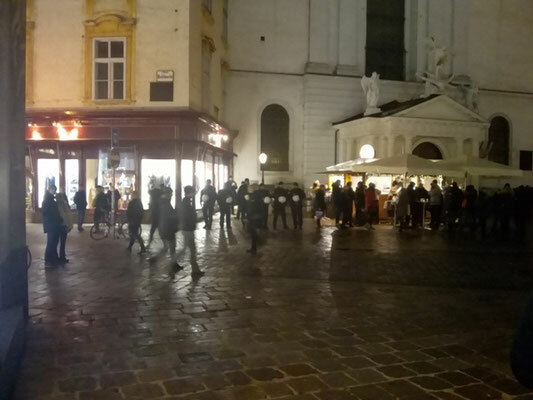 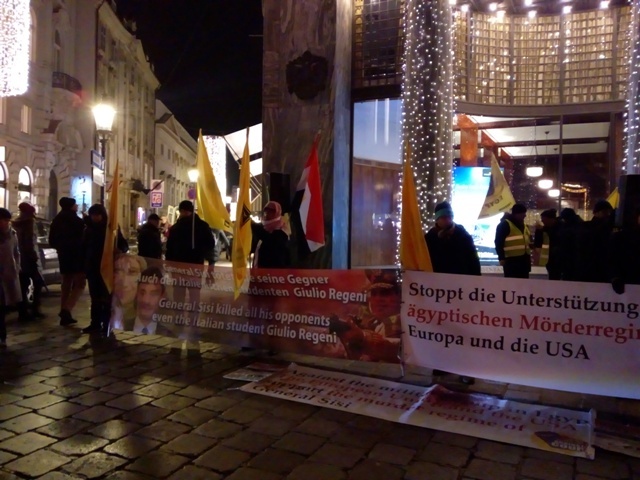 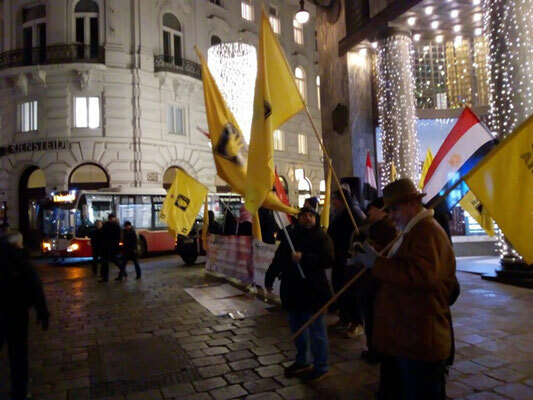 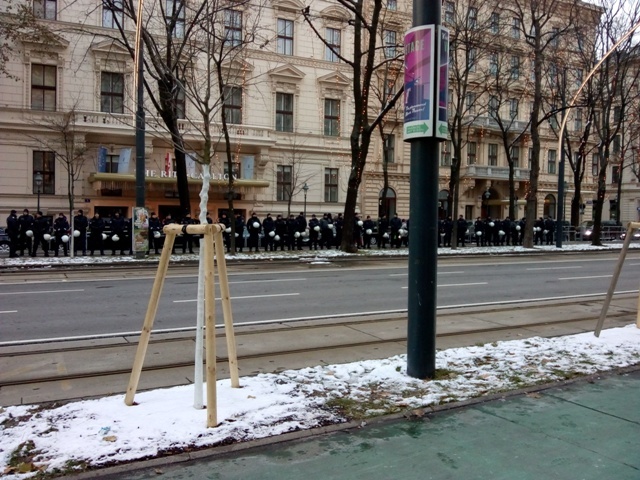 Several dozen Egyptian migrants assembled in the centre of Vienna to protest against the visit of General Sisi, the butcher of the Egypt people. 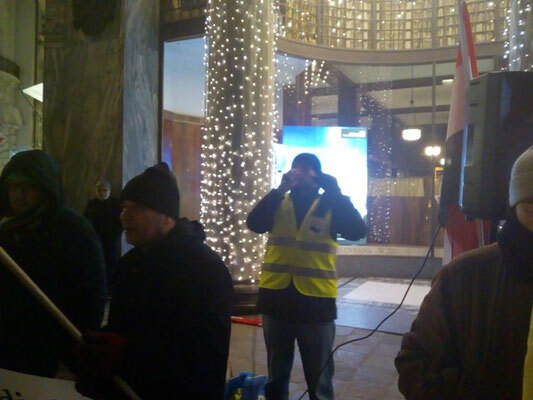 In two rallies, on 16 and 17 December, we expressed our outrage about the presence of this Killer-General who has thrown 63.000 people in prison. Sisi also ordered his military to slaughter up to 2.600 demonstrators on a single day – the 14 August 2013! 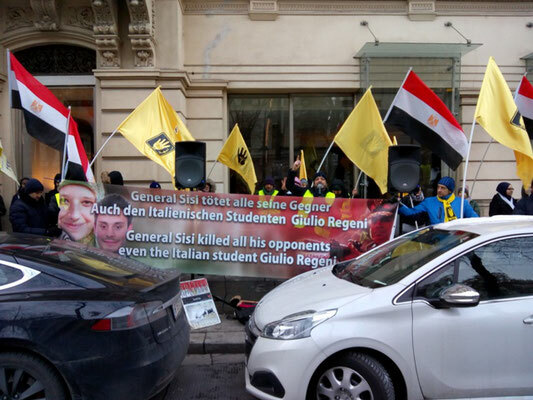 The “crime” of these people was to protest against the military coup which General Sisi had carried out a few weeks earlier on 3 July! 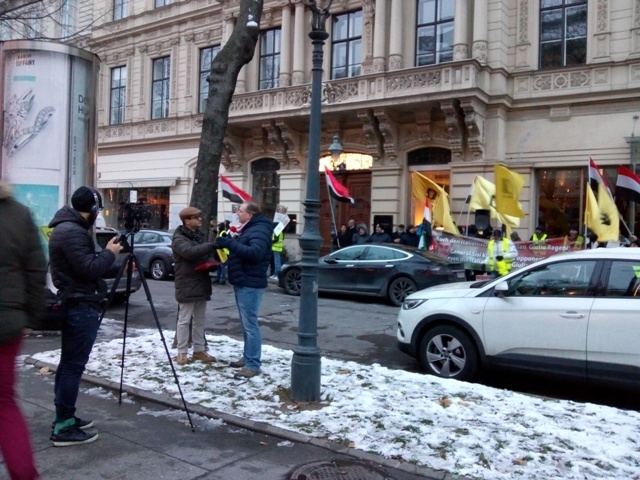 The strong presence of the police was remarkable and demonstrated that the authorities were determined to avoid any embarrassment for the Egyptian dictator. The organizers of the Egyptian community invited the Austrian section of the RCIT to attend and speak at the rally. We participated with a delegation, and our comrade Michael Pröbsting, International Secretary of the RCIT, addressed those gathered at both rallies. 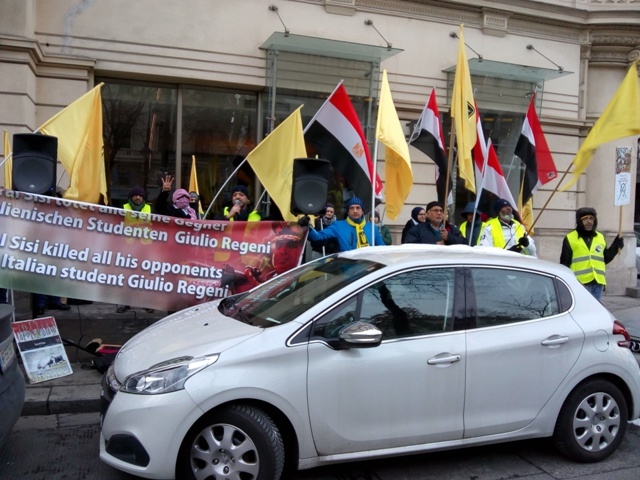 He emphasized the solidarity of the RCIT with the resistance of the Egypt people against the military dictatorship. 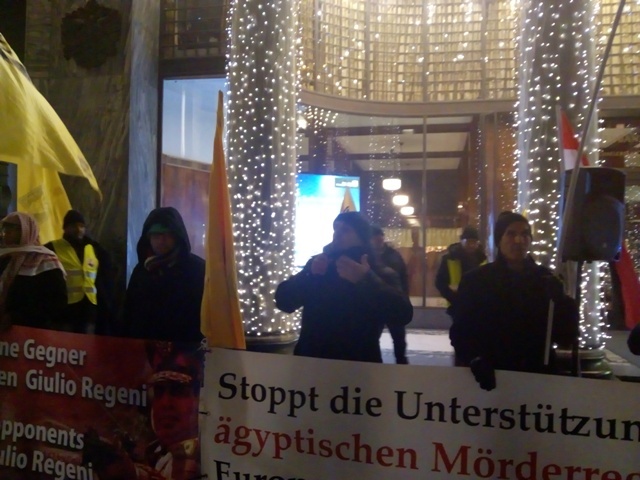 He also condemned the support of US and European imperialism for General Sisi. 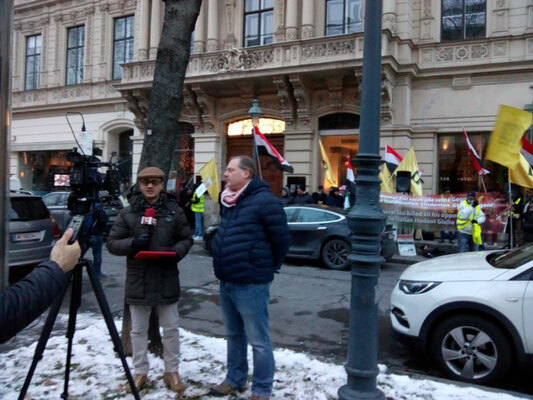 Michael Pröbsting was also interviewed by a Syrian media team which supports the resistance against the dictatorship of Assad.